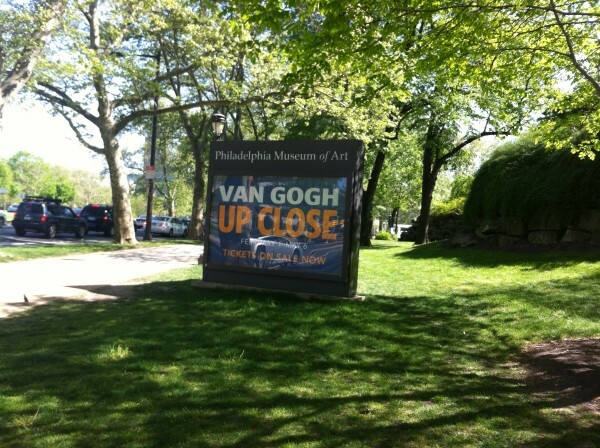 Members of the education department took a road trip recently to the Philadelphia Museum of Art to view current exhibition Van Gogh Up Close and meet our colleagues in Philly. Works by van Gogh are in the Phillips’s permanent collection, and I used the opportunity to study the painter and get to know a work which is a near twin of our The Road Menders (1889)—The Large Plane Trees (Road Menders at Saint-Remy) from the Cleveland Museum of Art. 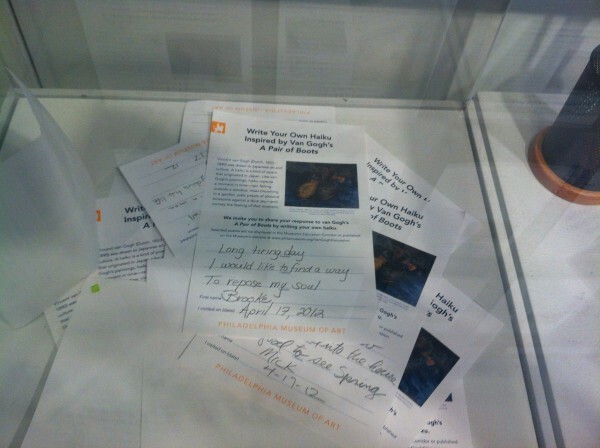 Check out some photos highlighting our trip (plus, in honor of National Poetry Month, a haiku I wrote in response to one of van Gogh’s paintings)! 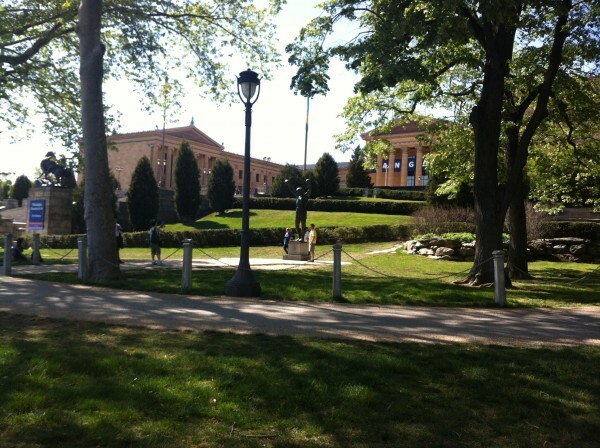 A view of the Philadelphia Museum of Art with the famous Rocky statue out front. Photo: Brooke Rosenblatt. A sign for the van Gogh exhibition. Photo: Brooke Rosenblatt. My ticket, admission tag (look familiar?) 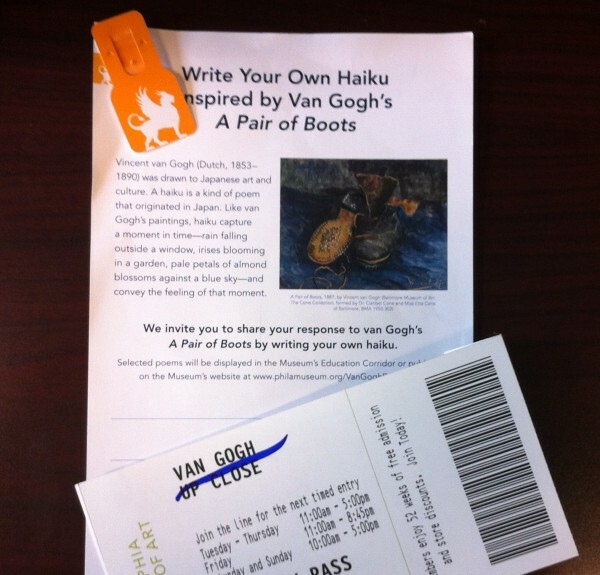 and form asking for a haiku in response to van Gogh’s painting, A Pair of Boots. Photo: Brooke Rosenblatt. My haiku—submitted! Photo: Brooke Rosenblatt. 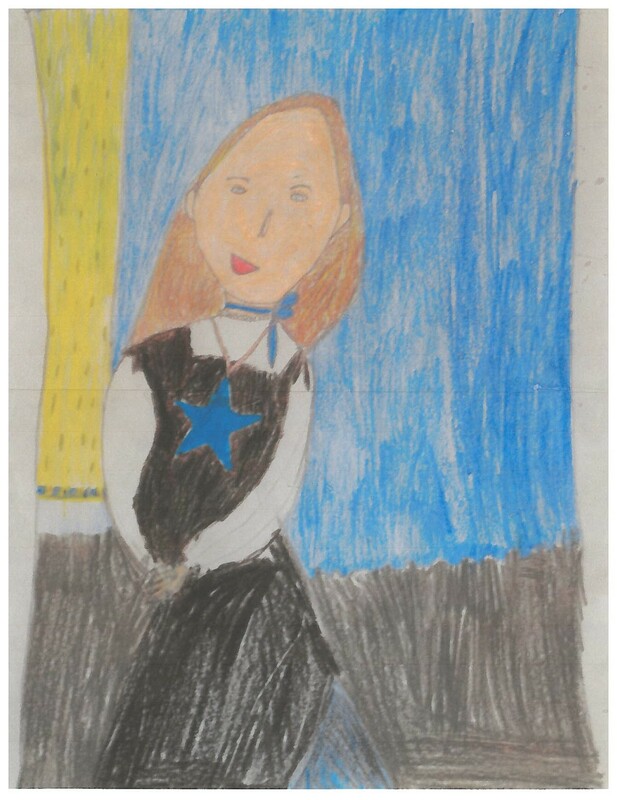 Following up to our series honoring the Blue Star Museums initiative, here is a Renoir-inspired submission to Blue Star Museums’s Creativity Contest, which military kids ages 6 to 17 can still enter through September 20. The artist, eight-year-old Marika Skwarek, shares her inspiration below. In August, I visited the Philadelphia Museum of Art. I enjoyed the impressionist art the best. One of the paintings I really liked was Portrait of Mademoiselle Legrand (1875) by Pierre-Auguste Renoir. I brought my sketch pad along and tried to sketch it. I finished my sketch and added the Blue Star to the necklace. Here it is. I call it the “Blue Star Renoir.” We also visited the Please Touch Museum. We joked that the art museum was the “Please Don’t Touch Museum,” but we had a great time at both. I am eight years old, just like the girl in the picture.